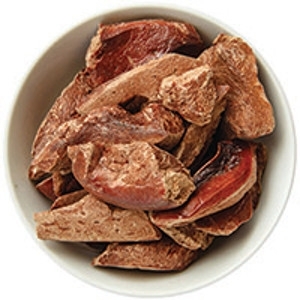 Liver helps neutralize toxins in the body and is a natural source of vitamins A & B, folic acid, and iron – all which help aid digestion, provide a source of antioxidants and help with fatigue & mental ability. Rich protein source provides essential amino acids that help build muscle, store energy & boost endurance. 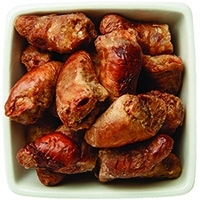 Chicken Tenders with Sea Kelp 4 oz. 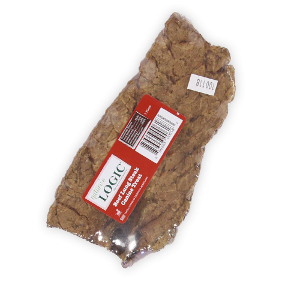 Lean meat makes this a great for animals that are quick to gain weight. 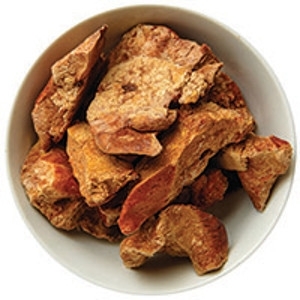 Also a good source of phosphorus which helps in the formation of bones/teeth, and cell/tissue repair. The small size is perfect for small pets & training. High in protein and provides many essential nutrients, including selenium, phosphorus, zinc and amino acids that help build muscle. 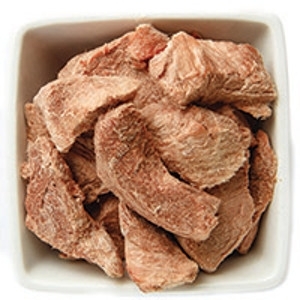 100% green (grass-fed) tripe. 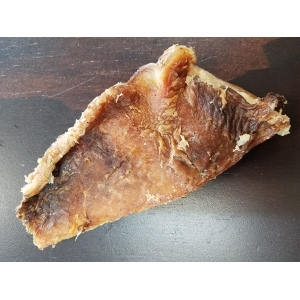 This meat retains the digestive enzymes and good bacteria, which aid in digestion, improve metabolism and boost the immune system. Nature's Logic is proud to be based in America's heartland, and Midwestern values are the foundation of the company. The brand stands for wholesome, natural ingredients that provide everything you would get from feeding your pet whole food - but in a more convenient package. 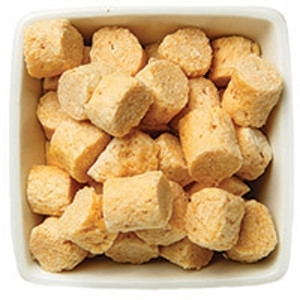 This is among the few (perhaps the only) pet food lines with absolutely no artificial/synthetic vitamins or minerals. 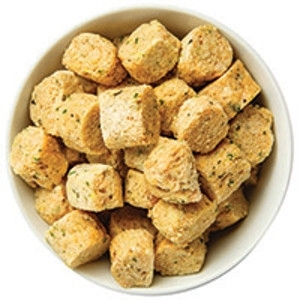 Their dog treats are made from only the best ingredients. This is a treat you can feel good about giving to your canine family member! 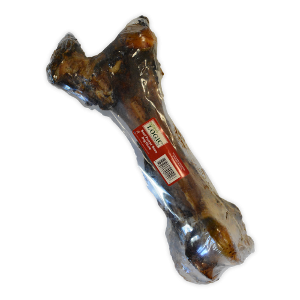 Now you don't have to feel guilty about rewarding your dog with a treat! 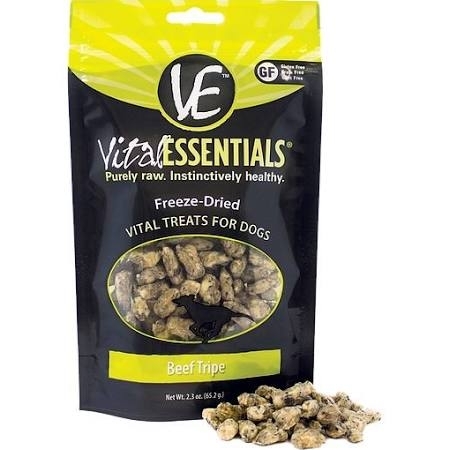 Vital Essentials Beef Tripe Freeze-dried Dog Treats are packed with vital nutrients. 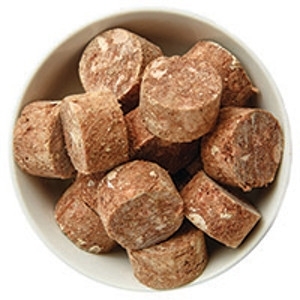 Made with only fresh, whole, single-sourced USDA beef, these morsels provide essential nutrition and taste that dogs instinctively crave. 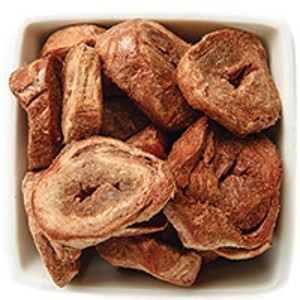 A slow, 48 hour freeze-drying process locks in nutrients without cooking the raw meat and allows these treats to be safely and conveniently stored without refrigeration. Your dog will be howling for more! 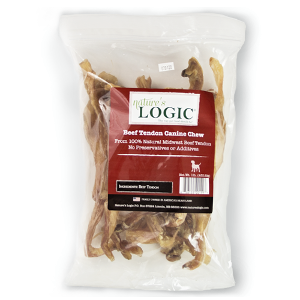 Now you don't have to feel guilty about rewarding your dog with a treat! 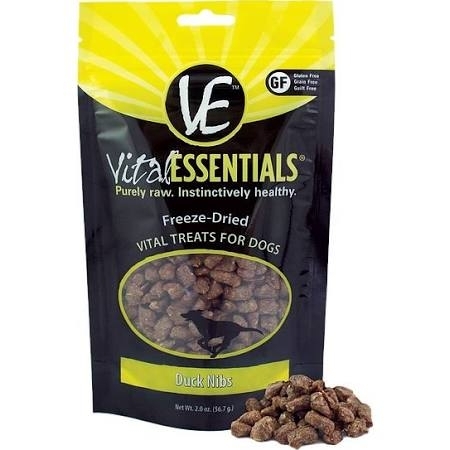 Vital Essentials Duck Nibs Freeze-dried Dog Treats are packed with vital nutrients. 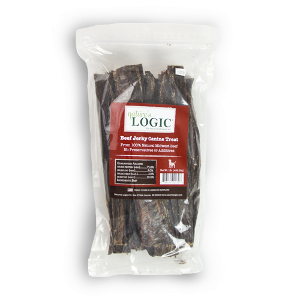 Made with only fresh, whole, single-sourced duck, Nibs provide essential nutrition and taste that dogs instinctively crave. 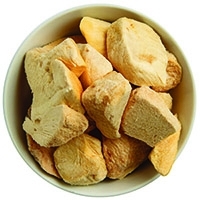 A slow, 48 hour freeze-drying process locks in nutrients without cooking the raw meat and allows these treats to be safely and conveniently stored without refrigeration. Your dog will be howling for more! 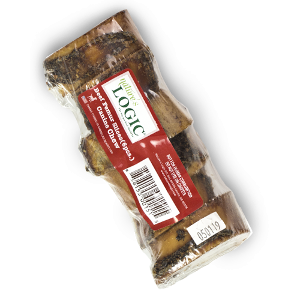 Now you don't have to feel guilty about rewarding your dog with a treat! 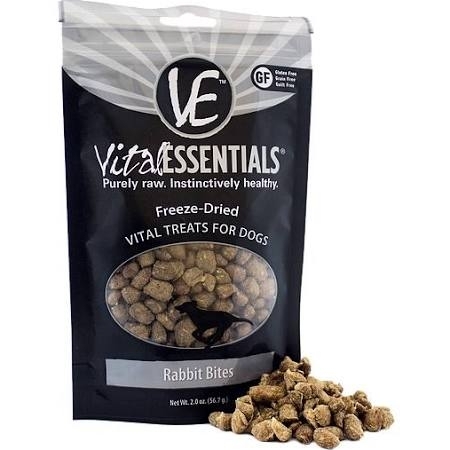 Vital Essentials Rabbit Bites Freeze-dried Dog Treats are packed with vital nutrients. 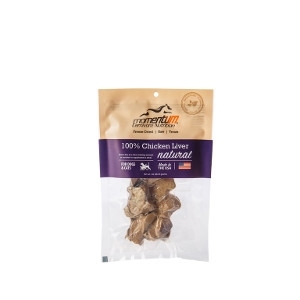 Made with only fresh, whole, single-sourced rabbit, these bites provide essential nutrition and taste that dogs instinctively crave. 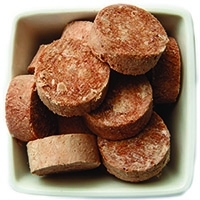 A slow, 48 hour freeze-drying process locks in nutrients without cooking the raw meat and allows these treats to be safely and conveniently stored without refrigeration. Your dog will be howling for more! 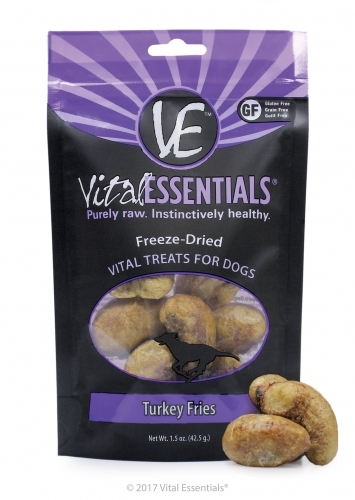 Never feel guilty about rewarding your dog with a Vital Essentials Turkey Fries Freeze-Dried Dog Treats. 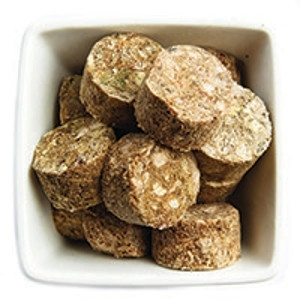 Made with a fresh, single-source USDA animal protein, these treats are packed with nutrients—and it all comes from the 48-hour freeze drying process, which slowly locks in the natural ingredients without ever cooking the meat. That means tasty health benefits for your pooch, with the essential nutrition that they instinctively crave. 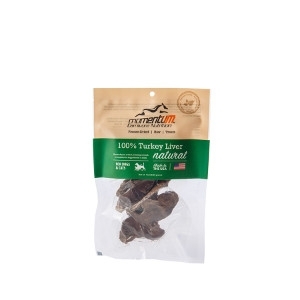 They’re totally free from grain and gluten, supporting the naturally carnivorous diet of dogs. 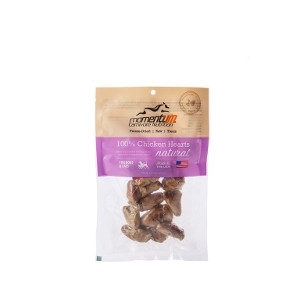 Plus, the convenient packaging makes it easy to take Vital Treats anywhere your dog wants to go.